Powerful 4-Cutter with innovative head design. PAM 5812X High performance static mixing nozzle for consistent mixing with maximum flow. (Overall length 17", Nozzle and Extension). SDS Plus forming drill bits. SIDE LAP - HVAC screws are designed for connecting spiral duct sections. UCAN Carbide tipped “Teardrop” Glass Bits, drill into glass and mirrors with little efort. Used in conjunction with a lubricant, such as water, these bits produce round holes without chipping or breaking the glass. 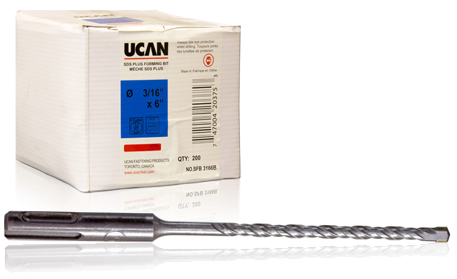 UCAN Introduces its' new SDS PLUS Depth Control Bit,specifically designed to work in conjunction with UCAN drop-in anchors and setting tools. While the bits’ large collar prevents overdrilling and guarantees optimal hole depth, the stepped setting tool ensures the drop-in anchor is fully set. Using this matching system allows the installer to quickly and efficiently achieve maximum anchor performance. UCAN TORPEDO™ is an excellent anchoring alternative for medium duty and temporary applications. With it's corrosion resistant, mechanically galvanized, finish UCAN TORPEDO™ is also well suited for use outdoors. Matched with a standard UCAN ANSI - tolerance drill bit, this fastener produces consistently high load values. 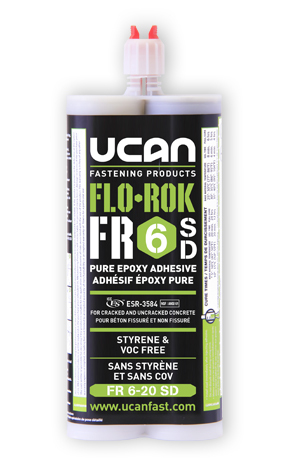 UCAN TORPEDO™ installs quickly leaving the clean appearance of a finished hex washer head on the working surface. 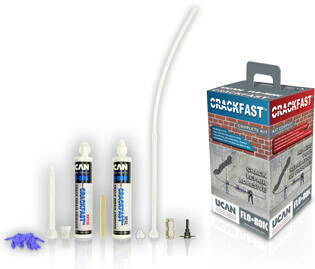 CRACKFAST features includes: no messy putty, easy step by step instructions, for vertical and horizontal repairs, Convenient port holders on side of box. 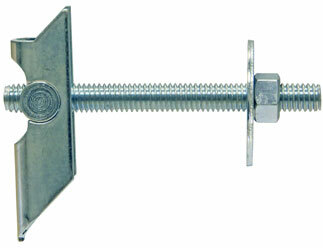 The Tip Toggle is a versatile, steel hollow cavity wall anchor. Assembled with 3/8-16 X 4" stud, hex nut & large pattern flat washer All components are zinc-plated Can be used with 3' or 10' Rods for deeper cavities Pilot Hole size 7/8" (22mm). These UCAN Spring Nut Setters are ideal for Stainless Steel fasteners and it also prevents build up of steel shards. The UCAN SDS MAX CORE CUTTER is specially suited for the latest generation of powerful rotary hammer tools. Its' one piece design and unique cutting head ensure efficient drilling and superior life. Reinforced single cutter and side lip provide for practically effortless, clean drilling in most hard and soft wood even when nails are encountered.